A wonderful place to stay in London, Notting Hill has all you could want as a tourist and a business traveler. Home to the renown Notting Hill carnival it also has the market at Portobello road near by for those shopping sprees you have always promised yourself. Although it has never had the status of being an official Borough of London it is generally understood to be one of the most fashionable areas of London. Look before you choose your hotel at the range we have available for you. 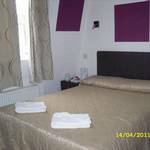 From cheap to luxury all with online booking available. 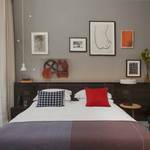 A great budget hotel in Notting Hill close to the tube and Hyde Park too. You will feel safe and secure in this quiet area of the city. Elegant Victorian establishment situated in a peaceful square in the heart of the utterly modern and vibrant Nottinghill. Close to Nottinghill Gate Tube putting you within easy access to London's main attractions. Just a skip and a jump to Hyde Park. Great location for leisure seekers and antique hunters. We have 50 years experience in making our guests feel comfortable and at home, and offer you a friendly and personal service. We are located close to the city centre, allowing you easy access to all the delights it has to offer. 31 magnificent rooms await you and we offer value that is hard to beat. We welcome you to our haven of peace, tranquillity and luxury. Comfort, charm and privacy combine with excellent facilities and spacious ensuite rooms filled with exquisite antique furnishings, breathtaking paintings and every modern amenity your heart desires. Dedicated and professional staff will ensure you are well taken care of during your stay with us. The best location for an apartment you could possibly get in Notting Hill very close to the tube, restaurants and coffee stops. Also close to Portabello Rd and Hyde Park. Wonderful use of five Georgian Townhouses now converted in to a trendy Comfort Inn. 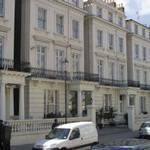 Close to main sights of London and easily accessed from Paddington Station. Spacious ensuite rooms with all modern amenities and welcoming to families - a large lounger area with TV facilities and a bar and a friendly outlook from professional staff. Many buses will be put on for the carnival. Normal bus services will be affected by this. No buses will enter the carnival area for the entire Bank holiday weekend. The main pickup and drop off points for Notting Hill Carnival buses are 1) NORTH - Prince of Wales pub, Harrow Road. 2) SOUTH - Notting Hill Gate. You should check before your journey to make sure tube stations are open. Some are closed all weekend. Some may close temporarily when extremely congested with carnival goers.